Most states have laws that are intended to protect children by creating enhanced penalties for various crimes committed within a certain distance of schools. These laws sound like a common-sense approach, but our research has shown that these laws do not work, will not work and have serious negative effects. 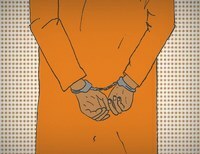 In Connecticut, for example, certain drug offenses committed within 1,500 feet of schools are punished with a longer sentence. The original intent behind the law was noble: protect children from harmful activity by creating an incentive for bad activity to move elsewhere. The flaw is that the designated distance is too large. To create a safety zone around schools, the area to be protected needs to be small enough to incentivize moving illegal activity elsewhere. Imposing a higher penalty over an entire city or state by blanketing it in overlapping enhancement zones nullifies the legislatures’ effort to give schools special protection. Simply put, when a legislature says that every place is special, no place is special. Graphic explanation written by Arielle Sharma, drawn by Elydah Joyce, and programmed by Jacob Mitchell. These laws were a noble, if naive, experiment when they began sweeping the nation in the late 1980s and 1990s. But now the evidence is in. They have not worked to move areas around schools safer, and the extreme reach of these laws ensures that they will never serve the intended deterrent effect. But what these laws have done is consume criminal justice resources that could otherwise go to enforcing existing laws that directly and effectively protect children from being involved in criminal activity. Sentencing enhancement laws also create a two-tiered system of justice: a harsher one for dense urban areas with numerous schools and overlapping zones and a milder one for rural and suburban areas, where schools are relatively few and far between. Our first of a kind research mapped every sentencing enhancement zone in urban, rural and suburban Hampden County, Mass., and quantified the race and ethnicity of the people who live inside and outside of the zones. We found that residents of urban areas are five times more likely to live in a sentencing enhancement zone than those in rural areas, and Latinos are more than twice as likely as Whites to live in a sentencing enhancement zone. We demonstrated that the Massachusetts legislature erred in assuming that 1,000 feet was a reasonable or effective distance for the zones. Our research into Connecticut's 1,500 foot zones revealed similar patterns. Based on our research, we concluded that a 100-foot distance would be more effective for a geography-based sentencing enhancement. In the 2015 special session Governor Malloy repealed the two-year mandatory minimum sentence for drug possession within 1,500 feet of a school or day care as part of the Second Chance Society legislation (Senate Bill 952). Massachusetts has rolled back the sentencing enhancement zone law to 300 feet and the law no longer applies between the hours of midnight and 5am. As part of a 2011 package to save the budget and reduce the prison population, Governor Patrick endorsed our proposal to shrink the sentencing enhancement zones to 100 feet. The final bill, passed in 2012, reduces the zones to 300 feet. Based on our research, this distance is too large to allow the law to function as intended to protect children from drug activity; but it will at least greatly reduce the number of people who receive the enhanced penalty. In 2014, the Judiciary Committee introduced Senate Bill 259. The bill would have reduced the size of Connecticut's sentencing enhancement zones to 200 feet, making the law more effective in protecting children while reducing the urban penalty in sentencing. A map of these proposed 200-foot zones is attached to our testimony submitted to the Judiciary Committee. Bill H.1645 was filed by Representative Swan for the 188th General Court. The bill would further reduce the size of school zones from 300 feet to 100 feet. The enhanced penalties would also be removed in cases where drug offenses occur within a private home or where a student under 18 sells drugs to another student. It would also allow all school zone offenders to be eligible for parole, work release and earned good time after serving half of the mandatory minimum. Finally, a school zone sentence could be served at the same time as another drug-related sentence. More information on the bill is available from FAMM. by Aleks Kajstura, March 2014. 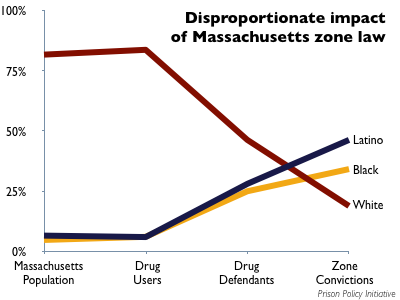 This report analyzes Connecticut's 1,500-foot sentencing enhancement zones, mapping the zones in the state's cities and towns and demonstrating both that the law is ineffective, and that it creates an "urban penalty". by Aleks Kajstura, Peter Wagner and William Goldberg, July 2008. This first-of-a-kind report mapped every sentencing enhancement zone in urban, rural and suburban Hampden County, and quantified the race and ethnicity of the people who live inside and outside of the zones. This followup report, again focusing on Hampden County, Massachusetts, found that Blacks are 26 times as likely, and Latinos 30 times as likely as White residents to be convicted and receive a mandatory sentencing enhancement zone sentence. School Zone Laws Don't Work, by Peter Wagner (letter), Valley Advocate, March 12, 2009. 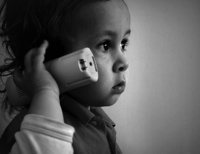 PRRAC Researcher Report: Sentencing Enhancement Zones Fail to Protect Children, by Aleks Kajstura & Peter Wagner Poverty & Race November/December 2008. Testimony before Connecticut's Joint Committee on Judiciary in support of S.B. 259, "An Act Concerning the Recommendations of the Connecticut Sentencing Commission Regarding the Enhanced Penalty for the Sale or Possession of Drugs Newr Schools, Day Care Centers and Public Housing Pojects." The bill, which would reduce the size of Connecticut's sentencing enhancement zones to 200 feet, would make the law more effective in protecting children while reducing the urban penalty in sentencing. Two fact sheets are attached to the testimony. Testimony before the Joint Committee on the Judiciary of the Massachusetts General Court in support of H2267/S908, "An Act to Reform the 'School Zone' Law for Drug Offenses." The bill, which would reduce the size of Massachusetts' school zones to 100 feet, would make the law more effective in protecting children while reducing racial disparities in sentenceing. Testimony to the Rhode Island Senate in opposition to S2644 which would have imposed longer sentences for felonies committed within 1,000 feet of educational institutions. 1,000 feet is further than you think is a graphical introduction to distance, and a version as a powerpoint presentation. 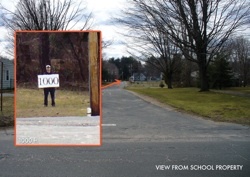 “Urban Penalty: Do drug-free school zones unfairly target cities and people of color?”, by Maureen Turner, Valley Advocate (Western Massachusetts) February 26, 2009. “Mass. sentencing laws not doing the job” by St. John Barned-Smith, Bay State Banner (Boston, MA), February 19, 2009. “You’re Probably in a Drug-Free School Zone Right Now: For all the good it does”, by Chris Faraone, Boston Phoenix February 11, 2009. “Drug free zones facing review”, by Jo-Ann Moriarty, The Republican (Springfield, MA) July 26, 2008.